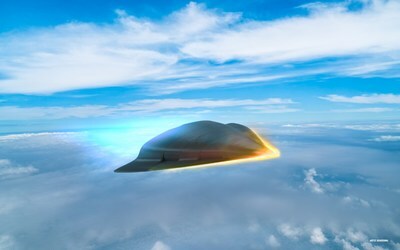 TUCSON, Ariz., March 5, 2019 /PRNewswire/ -- Raytheon Company (NYSE: RTN) won a $63.3 million DARPA contract to further develop the Tactical Boost Glide hypersonic weapons program. The joint DARPA and U.S. Air Force effort includes a critical design review, a key step in fielding the technology. Raytheon Company (NYSE: RTN), with 2018 sales of $27 billion and 67,000 employees, is a technology and innovation leader specializing in defense, civil government and cybersecurity solutions. With a history of innovation spanning 97 years, Raytheon provides state-of-the-art electronics, mission systems integration, C5I™ products and services, sensing, effects, and mission support for customers in more than 80 countries. Raytheon is headquartered in Waltham, Massachusetts. Follow us on Twitter.